Are you sick and tired of explaining to end users why they didn’t get a disk space alert? 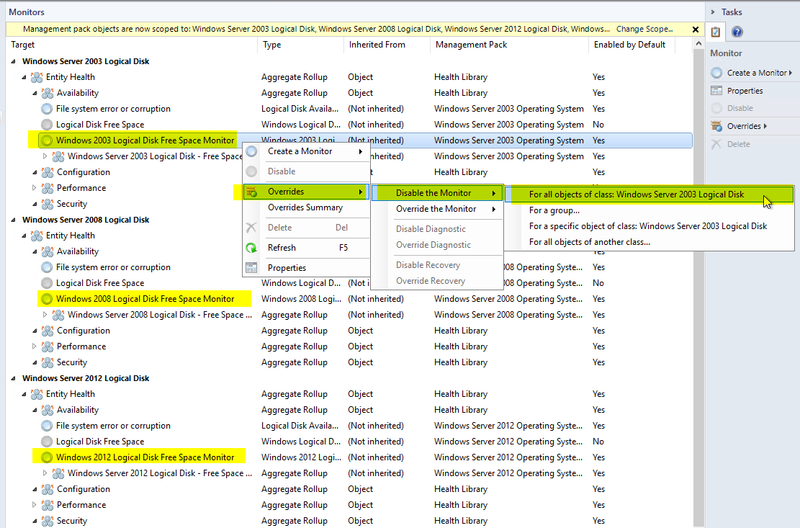 The built in SCOM disk space monitors are way too complicated. There are thresholds for warning, critical, system drive, and non-system drive. Then you must hit both percentage and megabyte thresholds. You can’t alert on warning because you won’t get a critical alert. What a mess! Want to simplify your life? I have created two simple disk space monitors. First: How to install them. 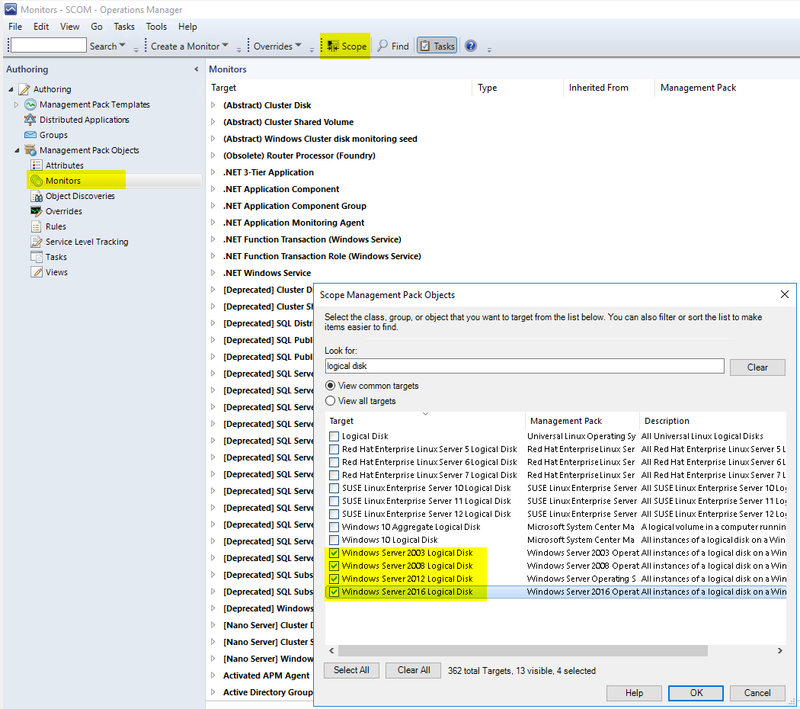 Next: Disable the built in monitors: Create overrides to disable the built in monitors. There are two new disk space monitors. They work by collecting performance counters using the native modules. When it detects 3 consecutive perfmon samples over the threshold of 95% for the critical monitor (90% for the warning monitor) at a 20 minute interval. If the drive is over the threshold for 60 minutes it will then launch a PowerShell script to clean up the percentage provided from perfmon from to a more readable number. It will also query the drive for remaining GB free and the total size of the disk. It displays this in the details of the alert. This is much nicer then the built in ones that don’t tell you the size of the drive. You can modify how these work by creating overrides. You will need to create an overrides for each of the different classes. Windows Server 2008 Logical disk, Windows Server 2012 Logical disk etc.. If you want to still have a separate threshold for your system drives. You can simply create a dynamic group containing your c: drives. 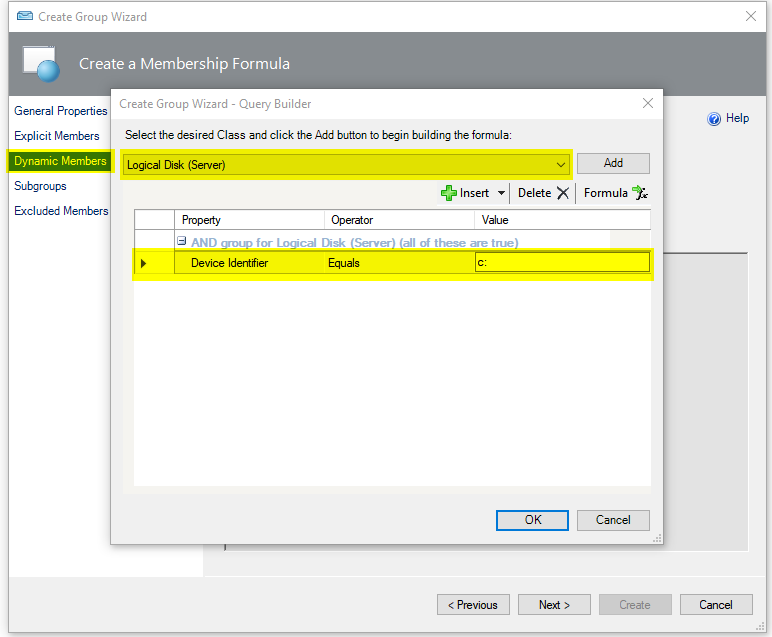 Then create overrides for the group. 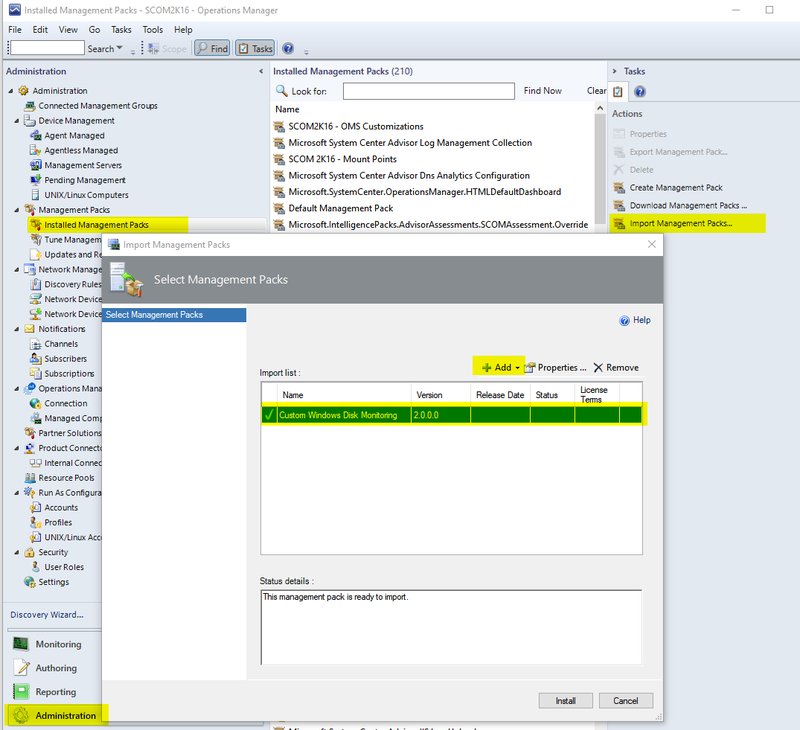 6 Responses to Sick of explaining to end users why they didn’t get a SCOM disk monitor alert? Is it not better that the default Monitoring is not Enabled ? There are also out of the box monitors for just %age or just MB thresholds. 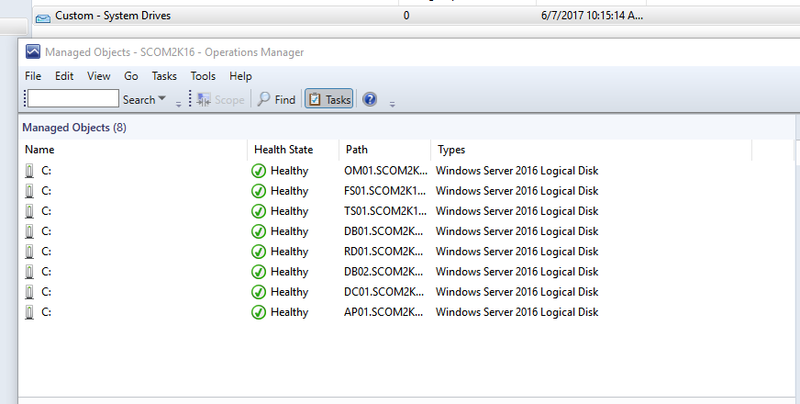 They are disabled by default but are a good alternative to the more complex logical disk space monitors that are enabled by default. It worked. Thanks lot for the work on this. The alert against the mounted drives give ” There is GB remaining out of a total disk size of GB”, is there a possibility to remove this sentence from the alert description, if the source is a mounted drive or may be more relevant data ? we need the VolumeName in the Alert Description. What must we Change in the MP.